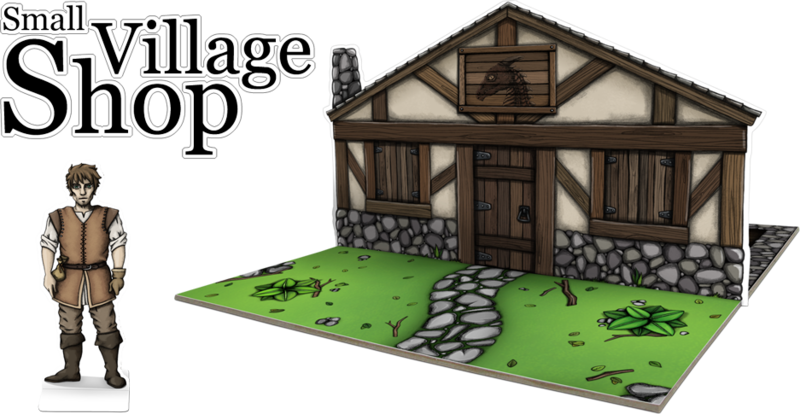 The Small Village Shop is a paper model for tabletop role-playing games, wargaming, miniature dioramas or for paper toy collections. 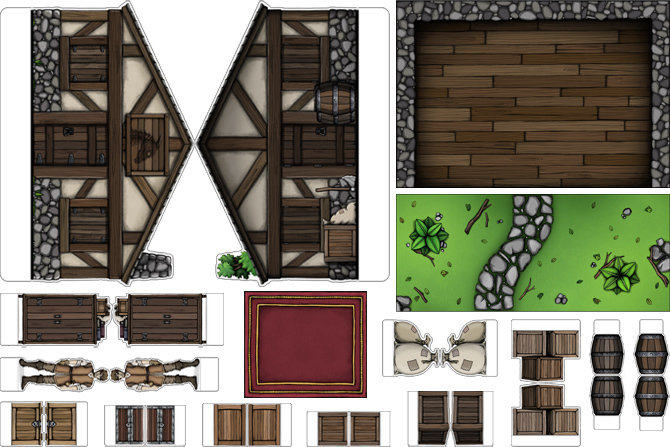 This RPG paper model includes 2 cardboard bases (also called sections), 1 paper miniatures (the merchant), the Shop, 11 paper accessories (1 cupboard, 4 wooden crates, 2 chests, 2 barrels, 1 bag, 1 carpet) and the assembly instructions. The bases are printed on a thick cardstock and then glued to a cardboard. The paper miniatures and accessories are printed on a white cardstock. The shop is printed on a thicker cardstock. Assembly is easy, requiring only glue and exacto knife or scissors. You will receive the digital copy of The Small Village Shop (high definition ready-to-print pdf). You will receive the physical copy of The Small Village Shop. You will receive the digital copy and the physical copy of The Small Village Shop. Delivery charges are automatically calculated at the time of purchase and added to your total. We ship everywhere in the United States, Canada, North America, South America, United Kingdom, Germany, France, Europe, South Africa, Australia, Japan and Hong Kong. There is no delivery charge on digital products. Products will be shipped to you by email within 1 to 2 business days after purchase.